Quirky and unique, Freudmann has quickly gained a reputation as one of the most original and talented cellists (and composers for the cello) in the country. 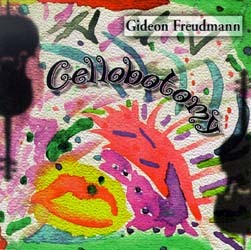 Armed with a cello, an endless imagination, and a flair for the unique, Freudmann delivers a masterpiece with "Cellobotomy." Whether he's sounding like classical with a smirk, a master on acid, or a roomful of symphonists, Freudmann will make you wonder what happened, but be glad hat it did!